My computer crashed and I lost all my recipe's. I am going to smoke a mustard slathered ham this weekend and I can't remember the recipe for my rub or what IT I need to pull it at (I think 140*). 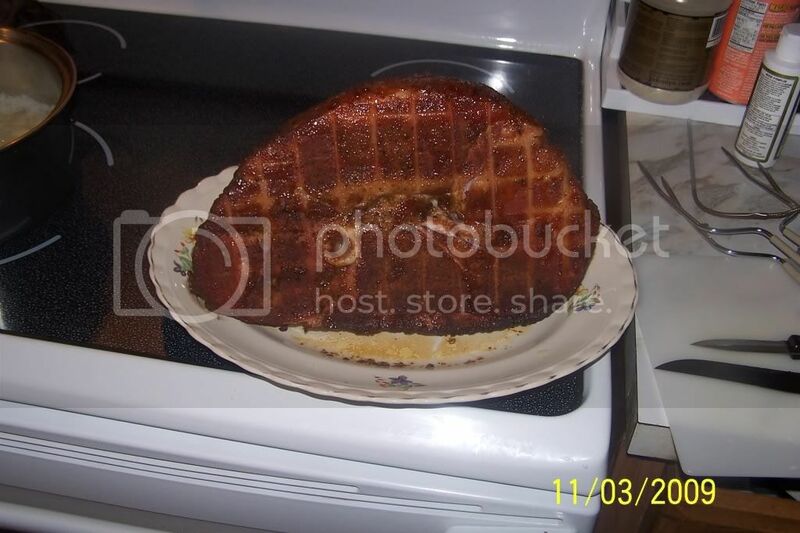 I have probably done 10 of these hams and they have all turned out great, but I haven't done one for a few years. The 140°F is the correct temperature for reheating a cured fully cooked ham. I've never applied a rub to my cured hams so I can't help you with a rub. I do apply a maple mustard glaze, but when I apply the glaze I finish it in the kitchen oven. Glaze Ingredients: adapted from Cook's Illustrated for the Bradley Smoker. You can also do cross hatch shallow cuts on the top and sides about 1-1/2" apart and poke a whole clove in each one of the squares, then remove for serving. 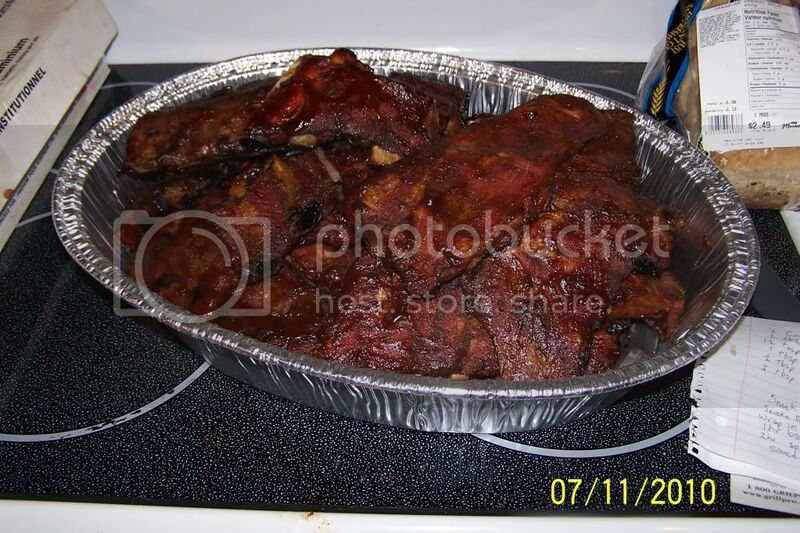 The glaze probably wouldn't work in a smoker. The glaze needs high heat to caramelize. At lower temperatures it may not adhere and just flow off the ham. 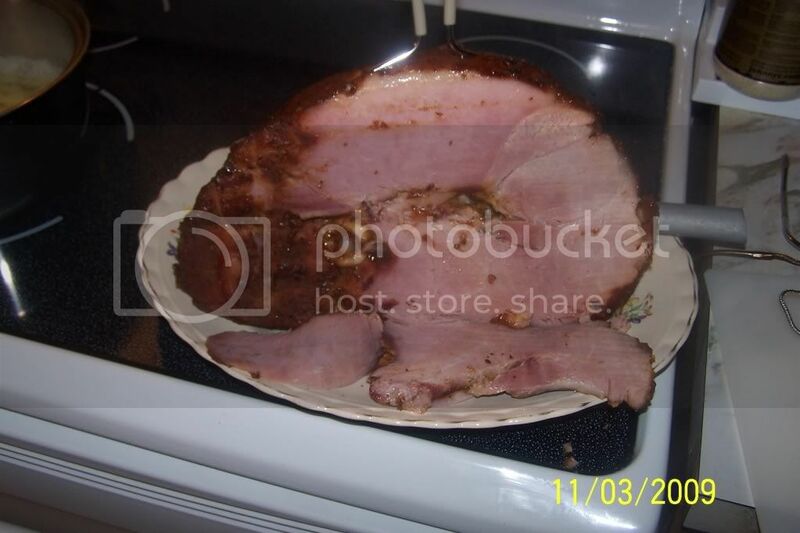 That ham does look good. Thanks guys, I think I will just make an edjamaketed guess at making a rub. These hams turned out so good in the past I hate to deviate from the way I was doing it. I will however experiment with your recipes when I don't have a ton of company coming over for labor day party that specifacally requested I make the ham. If you hams are already fully cooked, I'm not sure if injection will work. The protein cells may no longer be permeable, so it would be difficult for the marinade to diffuse throughout the meat. Maybe if you inject every 1/2 inch, but the ham may not be able to hold the liquid. Though it is worth a try. It won't harm anything. I know it is too late for you to get these before Easter, but I just purchased a product called Seasoning Stix. They are solid spice sticks about the diameter of a toothpick. They are injected or pushed into the meat. They are more expensive than a liquid marinade, and require a longer cook time for the sticks to break down and diffuse into the meat. They start to break down around 110°F, and work best when the internal temperature of the meat reaches at least 135°F. Those may work better in a precooked ham than a liquid marinade. At this time there are not many flavors to choose from. I haven't tried it yet. I was going to use the Classic Garlic Blend in a prime rib I'm smoke/roasting today, but decided to hold off. I will be using one or more of the flavors this Saturday when I smoke a couple of racks of back ribs.